About 200 farmers, scientists and industry representatives have met in York to learn how to tackle declining soil health in the Wheatbelt. 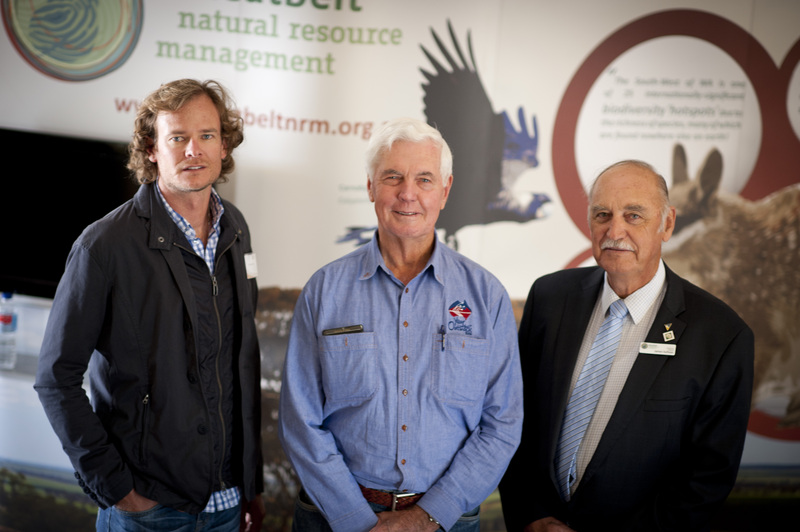 The two-day conference was organised by Wheatbelt NRM to help the region’s farmers improve their sustainability. The Talkin’ Soil Health summit was officially opened by the country’s first Advocate for Soil Health Major General Michael Jeffery. The Federal Agriculture Minister Senator Joe Ludwig also travelled to York to give a keynote speech before meeting with Wheatbelt NRM staff and landholders. Senator Ludwig talked about the importance of encouraging farmers to adopt sustainable land use practices. Wheatbelt NRM’s program manager for sustainable agriculture Dr Guy Boggs said the conference helped cover issues including acid soils, the importance of soil biology and sequestering carbon. “Farmers were able to hear from some of the country’s top scientists about how our soils have reached crisis point,” Dr Boggs said. “But the experts also spoke of solutions and other farmers shared their stories about how they have successfully introduced new management practices to deal with these problems.” Delegates were able to participate in hands-on workshops including helping to identify the living organisms that exist in their soils and how to build carbon. “These were by far the most popular workshops, which reflects the desire by landholders to find out exactly what makes their soil tick,” Dr Guy Boggs said. “We had limited spaces for these workshops, but at least 85 farmers were keen to learn more. “This reflects the fact that farmers realise soil health is instrumental in trying to build a resilient farming enterprise.” The event was funded through the Australian government’s Caring for our Country program and major sponsor Australian Mineral Fertilisers. Media contact: Dr Guy Boggs, Wheatbelt NRM, 9670 3100 or 0434 976 124.